Forgetting your PIN happens! So with the help of BNZ, we've made it easy. At the login screen, enter in the email address you set up the BNZ PayClip account with, then press the I forgot my PIN button. 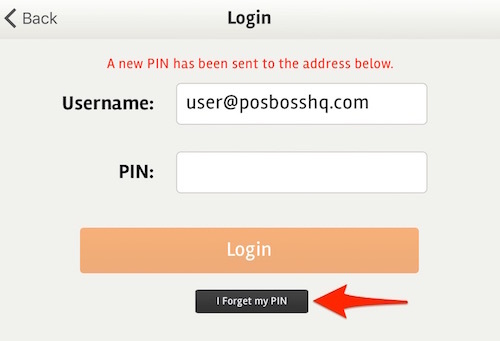 As long as the email address is valid and your iPad is connected to the Internet, a new pin will be sent. When received, enter in your temporary PIN and press the Login button. You will be prompted to select a new pin and confirm it. Any issues with your BNZ account or PIN, please contact BNZ Support first on 0800 729 254.